You'll never believe you were going to throw these things away. Are you somebody who never wants to waste anything that you feel can offer something of value in the future? Here are a couple of ways to upcycle your used household items to create new, handmade items that you can use and enjoy every day. If you want to brighten up your patio for almost no money, try turning your old tin cans into patio lighting with a few easy steps. Carefully cut each cork in half lengthwise with a sharp pocket knife. It’s best if you use natural cork wine corks that are similar length and width. Sand the bottoms flat if any of your cuts are jagged. Arrange the corks into a rectangle, flat sides down. Use a ruler or the lines on a cutting mat to make sure your configuration of corks is as close to a straight rectangle as possible. A good mat size is 18.5 x 30 inches (10 x 35 cork halves). Measure and cut the shelf liner to size with a rotary cutter, ruler, and cutting mat. Transfer the outer rows/columns of corks to the shelf liner and glue them to the top side of the liner. Apply a rectangle-shaped line of glue to the flat side of each cork, about 1/8 inch from the edge, line up the cork with the edge of the mat, and press hard. Wipe away any glue dribbles before it hardens fully. 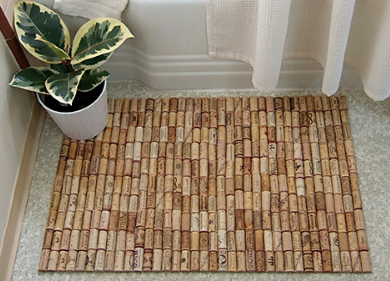 Once your frame is in place, transfer the rest of the corks to their corresponding position on the mat. You’ll probably have to do some arranging and trading places to make all the corks fit. 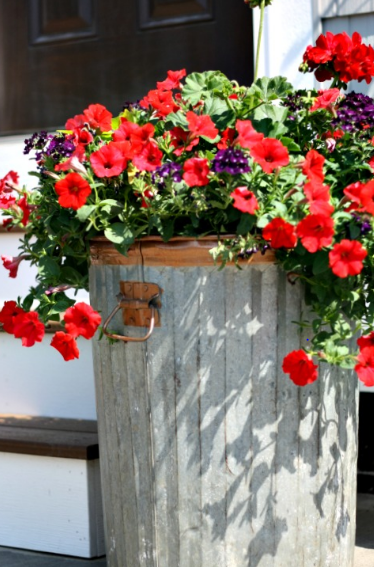 Large store-bought planters can cost around $30. Instead of spending this unnecessary amount of money, use your old $4 trash can instead. This one is simple: after cleaning your trash can, drill holes in the bottom of it to be used as drainage holes. Then just add your soil and plant your seeds. For more upcycling projects you can do yourself, visit our friends at pinterest.com.